Treehouse 168 - experience cabin life in the trees. 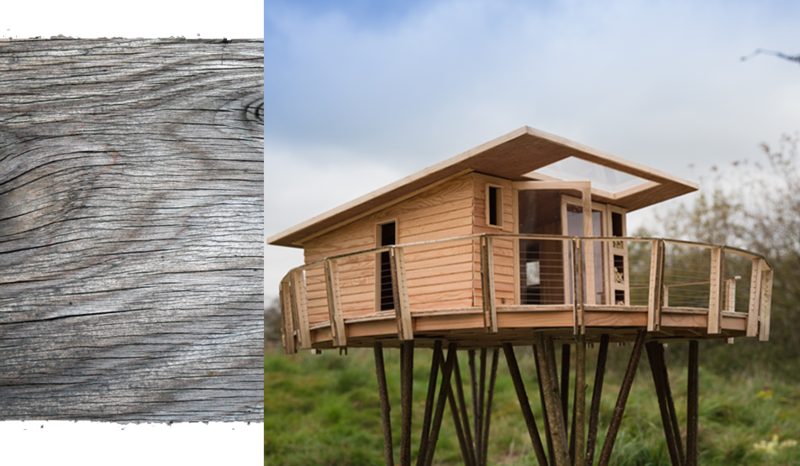 This wood-lined beauty is supported from the ground, but can be designed so that trees come through the deck**. 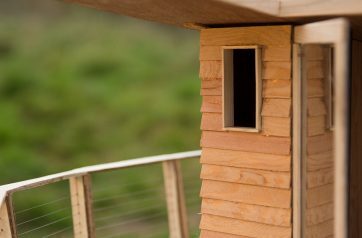 The large doors and selected windows let the light in, immerse you in the trees, and allow you to experience a great view. 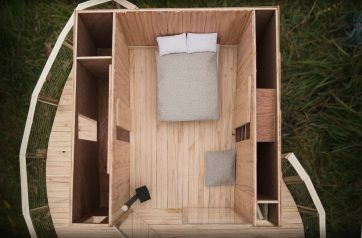 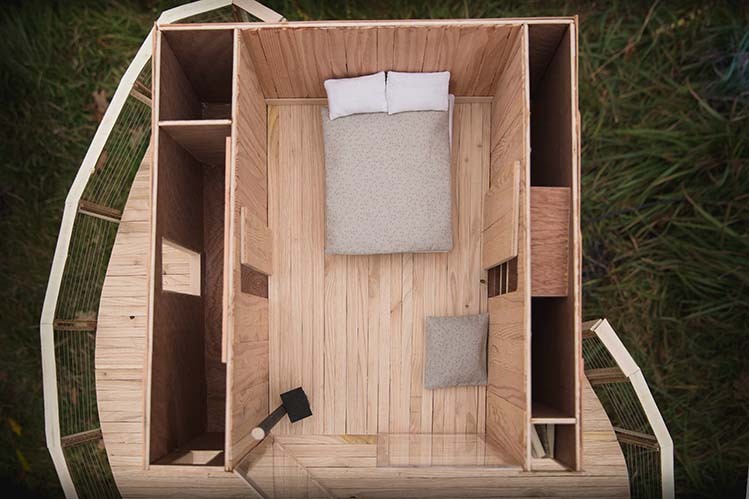 With the window over the bed you can lay back and watch the stars or the movements of the tree. 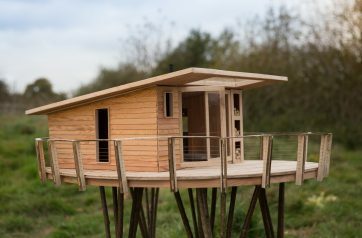 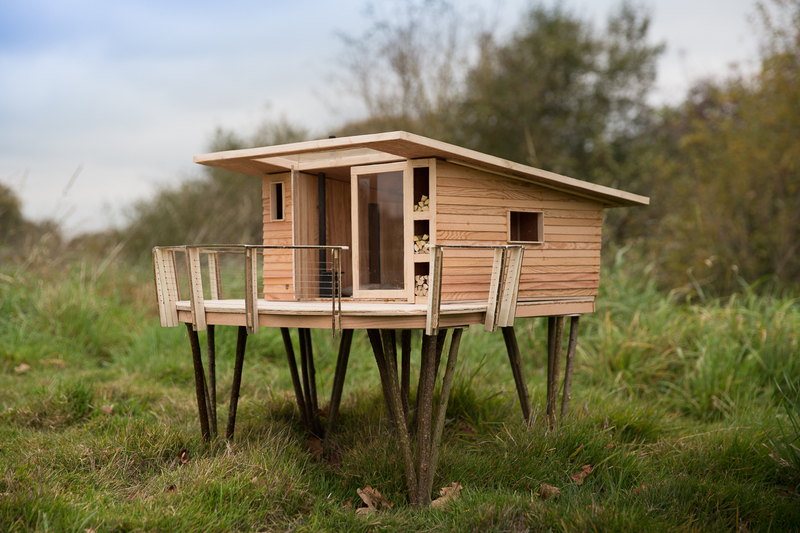 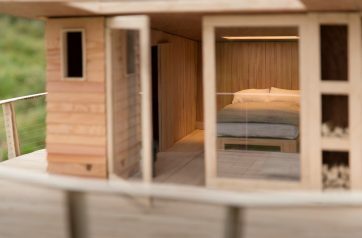 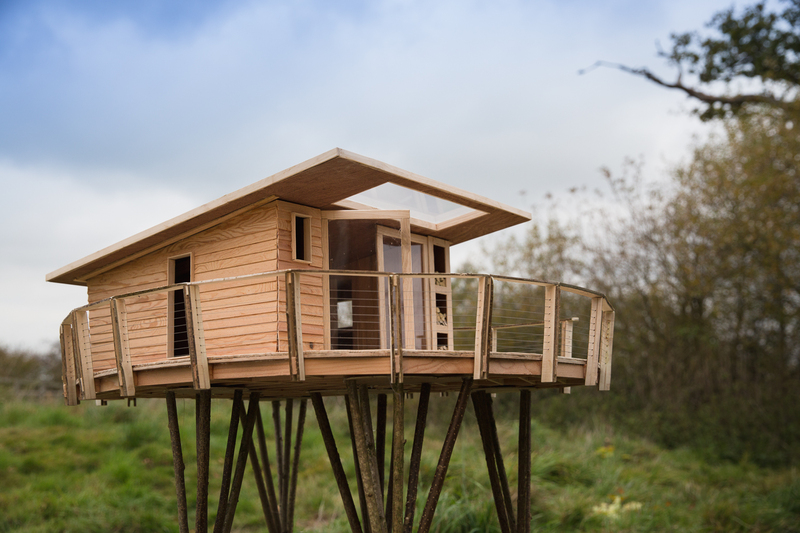 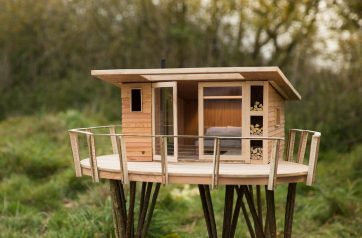 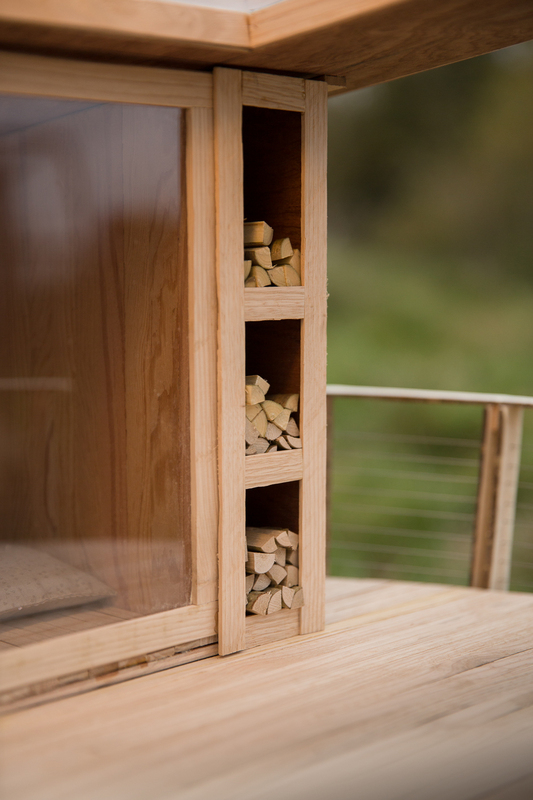 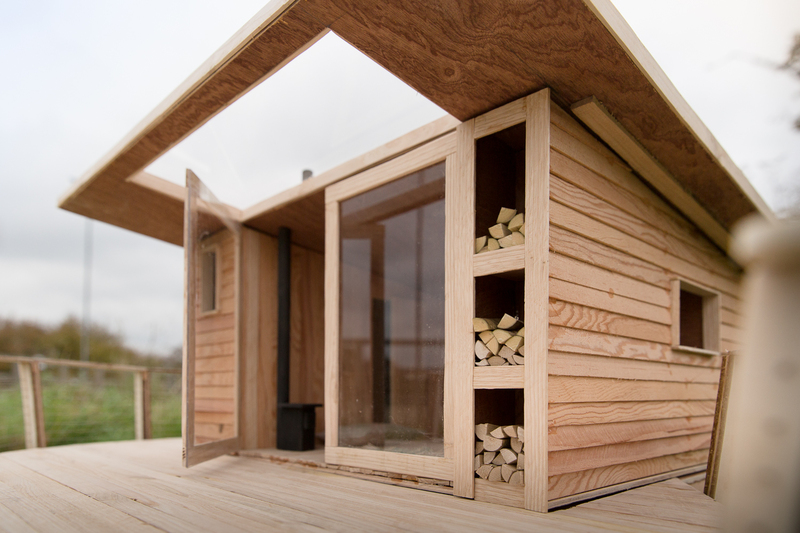 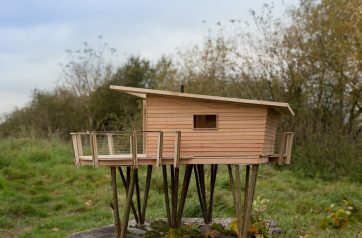 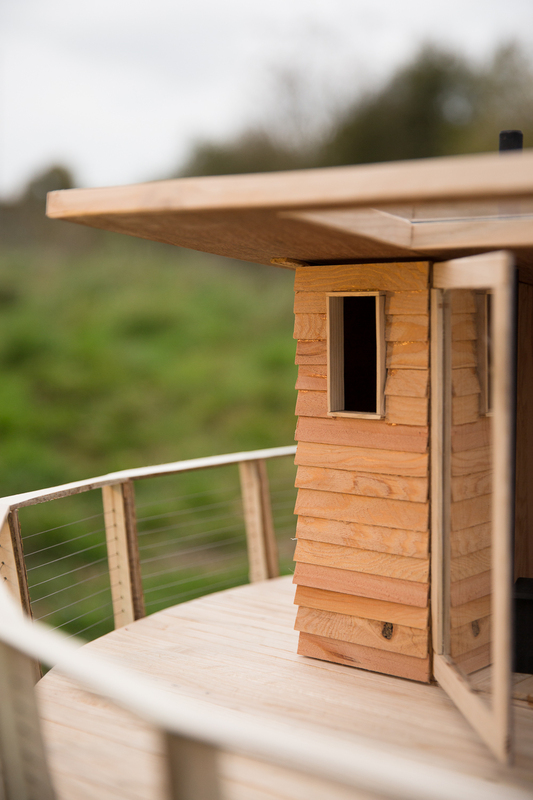 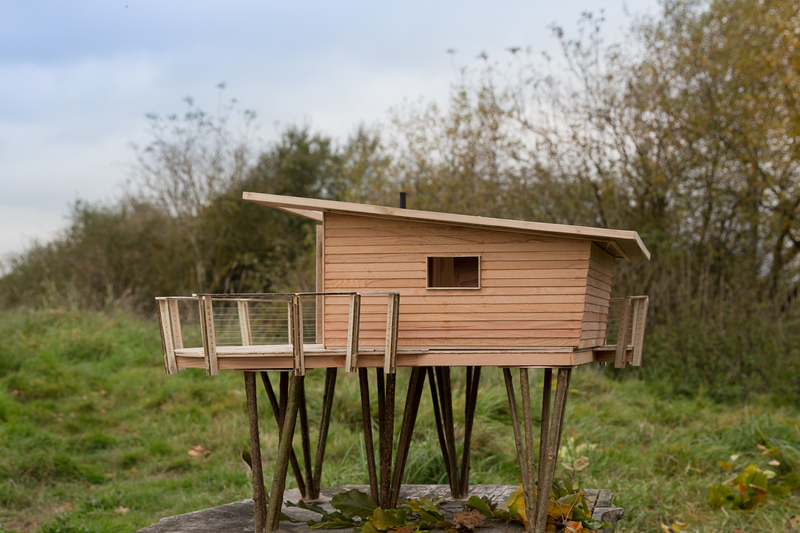 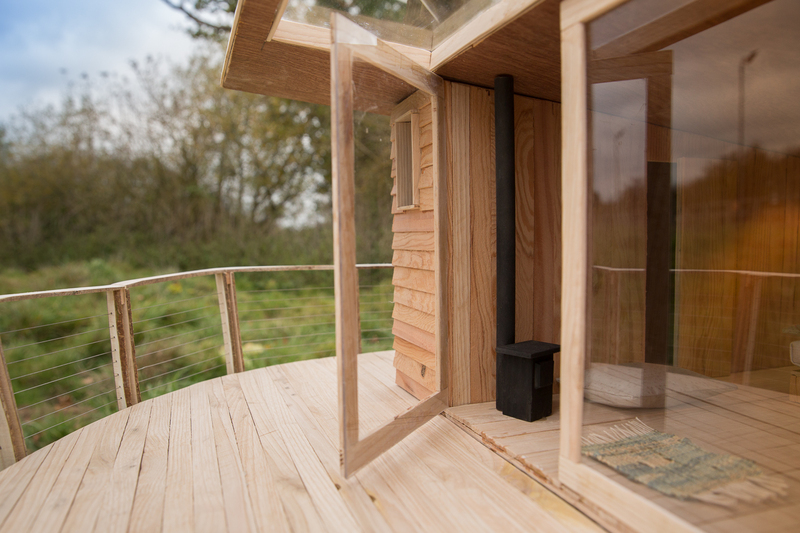 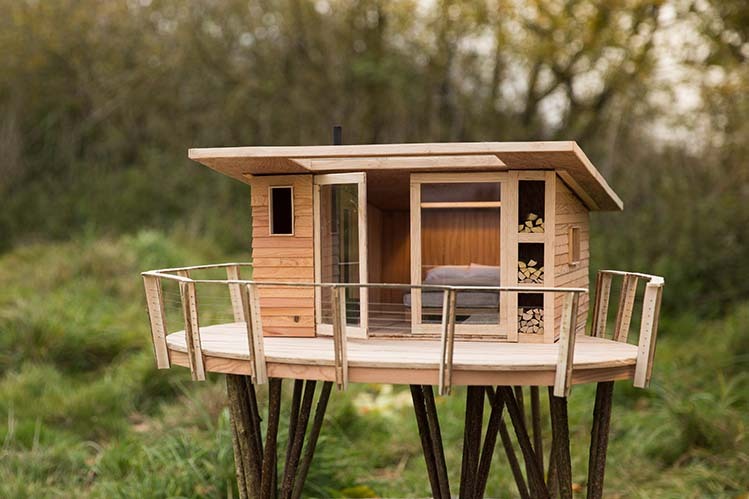 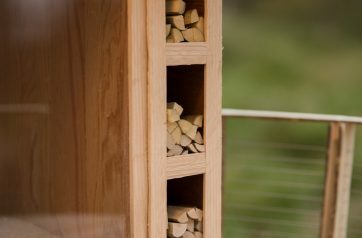 Treehouse 168 comes complete with an eco bathroom*, shower and a small kitchen that can be hidden away behind the sliding doors. 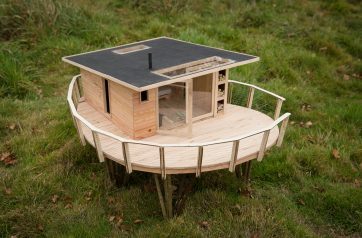 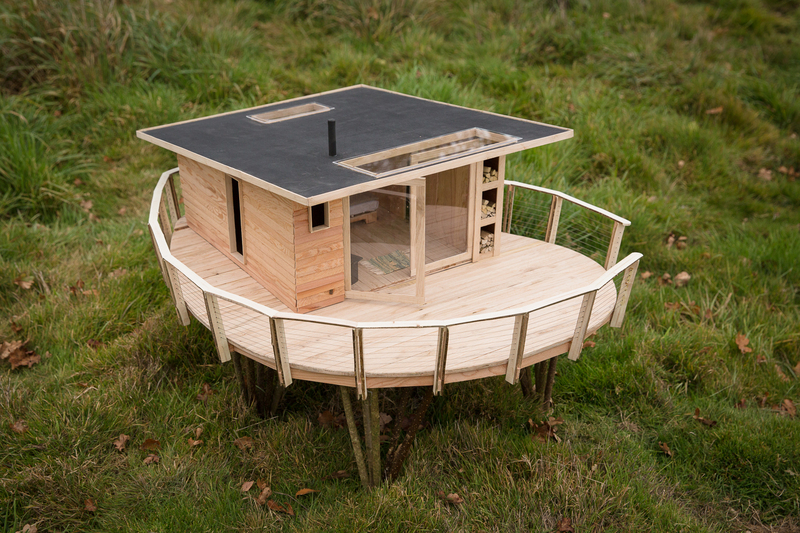 We are also able to install a hot tub on the deck - with a little extra engineering and supports.